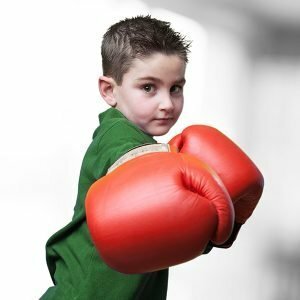 Eppolito Boxing Gym – Boxing is fitness made fun! Boxing is intense cardio work and burns a ton of calories. It also manages to do double duty for cardio as a great HIIT workout. Eppolito Boxing Gym is a full service boxing club — we have students who are serious competitors in the ring (we are USA-Boxing sanctioned – Club#542), students learning the sport for the pure joy of it, and students using the program as a fitness tool to get back into shape and lose weight. Our coaches have the right balance between pushing you to the next level and encouraging you for the successes you have in each class. We have boxers who are getting started before they hit the double digits, we have boxers who are just getting started well into their 40s. There is a place for everyone! Come down and “give it the old one-two”! What do our students think about class? If you’d like to get running updates in your newsfeed for us, please like our facebook fan page, subscribe to our new youtube channel or just feel free to come down and visit with us, talk to Frank and Pam and learn more! All ages and all skill levels welcome. All participants must sign a liability waiver, and for those less than 18 years of age, a parent or legal guardian must accompany the minor to sign the waiver before participating in the first class. You will need hand wraps for all classes. We highly suggest purchasing your own gloves and other accessories for the best fit. You can buy the perfect starter pack here!